Out now: VernissageTV PDF-magazine No. 24, May 2013. In this issue we look back at selected exhibitions, such as Markus Müller’s solo show at Nicolas Krupp in Basel, Ohad Meromi at Gallery Diet in Miami, Keith Farquhar at New Jerseyy in Basel, Sverre Bjertnes’ collaborative exhibition at White Columns New York, and Jon Kessler’s immersive installation at the Swiss Institute in New York. For Magazine No. 24 we have also produced exclusive “video portraits” of nine of Jean Tinguely’s kinetic works that will be accessible only for a limited time. These video portraits are accompanying the photo series shot on the occasion of Tinguely@Tinguely, the large-scale retrospective at Museum Tinguely in Basel. Another exclusive contribution is The Garden of Unearthly Delights, Los Angeles-based light and space artist Susan Kaiser Vogel’s presentation of artist Mollie McKinley, including a conversation between Susan Kaiser Vogel and Mollie McKinley. Finally, there are three architecture related photo series: We have a look at Herzog & de Meuron’s new halls for Messe Basel, Hilario Candela’s abandoned Miami Marine Stadium, and Singapore’s Gardens by the Bay. Out now: VernissageTV PDF-magazine No. 21, February 2012. The topics of VernissageTV’s PDF Magazin No. 21 are: Lee Sharrock reviews the Lucian Freud exhibition Portraits at the National Portrait Gallery in London; the solo exhibitions with Sarah Sze and Børre Sæthre at Mudam Luxembourg; Art Stage Singapore 2012; the Michel Majerus retrospective at Kunstmuseum Stuttgart; and the Velux Stiftung Daylight Award Winners Gigon / Guyer and Peter Märkli. Artists in this issue: Sarah Sze, Børre Sæthre, Peter Märkli, Gigon Guyer Architects, Lucian Freud, Michel Majerus. 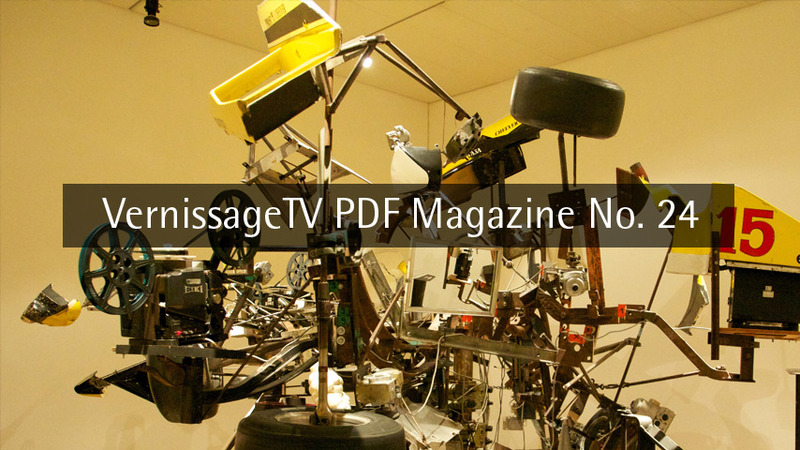 Out now: VernissageTV PDF-magazine No. 20, December 2011. 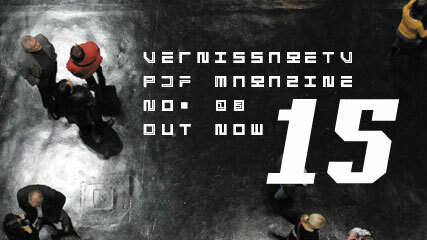 The topics of VernissageTV’s PDF Magazin No. 20 are Tomas Saraceno’s exhibition Cloud Cities at Hamburger Bahnhof; the Ed Kienholz and Nancy Reddin Kienholz exhibition The Signs of the Times at Schirn Kunsthalle Frankfurt; Pawel Althamer’s Almech at Deutsche Guggenheim Berlin; Pipilotti Rist’s video installations at Cinema Manzoni in Milan, Italy; and the Found Objects 2 photo series by Didier Leroi. Artists in this issue: Edward Kienholz and Nancy Reddin Kienholz; Tomas Saraceno; Tacita Dean; Pawel Althamer; Pipilotti Rist; Will Ryman. 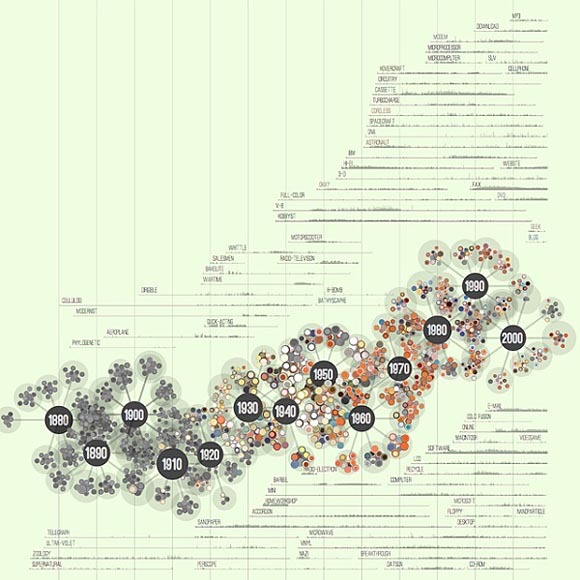 Jer Thorp (@blprnt), the data artist in-residence for The New York Times, was recently asked by Popular Science to create a visualization that represents the magazine's 138-year archive. In a blog post, Thorp describes his process and the eventual outcome: a visualization that "is anchored by a kind of molecular chain." The chain is surrounded by a word-frequency histogram that depicts usage issue by issue. The changing usage and vocabulary, no surprise, highlights the changing technology itself. For example, "microcomputer" gave way to "email." You can see more of the images of this visualization in Thorp's Flickr account. 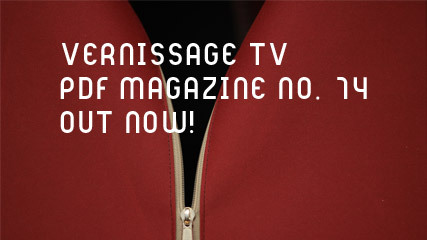 Out now: VernissageTV PDF-magazine No. 18, July 2011. 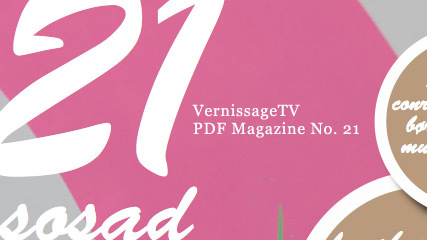 VernissageTV’s PDF Magazin No. 18 has its focus on the two major art events this year, the 54th International Art Exhibition – La Biennale di Venezia, and Art 42 Basel. Highlights of No. 18 are a personal look at five days in Venice by Miami-based artist duo Guerra de la Paz, and exclusive video and audio downloads for the readers of this issue. Then there are photo galleries showing Elmgreen & Dragset’s exhibition at Museum Boijmans Van Beuningen’s Submarine Wharf in Rotterdam, and Ai Weiwei’s solo show Art / Architecture at Kunsthaus Bregenz. For design lovers, there’s a report on Matti Suuronen’s Futuro, House of the Future of the 1960s. Artists in this issue: Ai Weiwei, Matti Suuronen, Elmgreen & Dragset, and Guerra de la Paz. Click image or this link to download the magazine (20 MB) or hit the jump to view in Issuu Reader. Attempting to promulgate Dada ideas throughout Europe, Tristan Tzara launched the art and literature review Dada. Although, at the outset, it was planned that Dada members would take turns editing the review and that an editorial board would be created to make important decisions, Tzara quickly assumed control of the journal. But, as Richter said, in the end no one but Tzara had the talent for the job, and, "everyone was happy to watch such a brilliant editor at work." Appearing in July 1917, the first issue of Dada, subtitled Miscellany of Art and Literature, featured contributions from members of avant-garde groups throughout Europe, including Giorgio de Chirico, Robert Delaunay, and Wassily Kandinsky. Marking the magazine's debut, Tzara wrote in the Zurich Chronicle, "Mysterious creation! Magic Revolver! The Dada Movement is Launched." Word of Dada quickly spread: Tzara's new review was purchased widely and found its way into every country in Europe, and its international status was established. While the first two issues of Dada (the second appeared in December 1917) followed the structured format of Cabaret Voltaire, the third issue of Dada (December 1918) was decidedly different and marked significant changes within the Dada movement itself. Issue number 3 violated all the rules and conventions in typography and layout and undermined established notions of order and logic. Printed in newspaper format in both French and German editions, it embodies Dada's celebration of nonsense and chaos with an explosive mixture of manifestos, poetry, and advertisementsÑall typeset in randomly ordered lettering. Common Ground Winter 2010 - a magazine of "The Councel of Christians and Jews"
Out now: VernissageTV PDF-magazine No. 15, January 2011. In this issue we look back at Art Basel Miami Beach Week with an Miami Basel Overview by FADs Editor at Large Ben Austin (click here for his article at FAD) and photos by Sabine Trieloff, Mark Vogel, and Didier Leroi. (Photos by Didier Leroi and Gregor Rieser). What else? An art meets design exhibition in Vienna; Pipilotti Rist, Roman Signer and Marc Newson in New York; Paul McCarthy in Los Angeles; Aaron Curry and Moniker in London; Argonaut Mathilda in Istanbul; and Elmgreen & Dragset’s “Celebrity – The One & the Many” at ZKM in Karlsruhe. 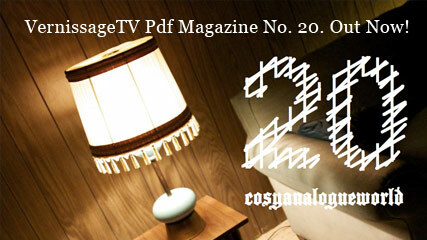 Out now: VernissageTV PDF-magazine No. 13, June 2010 with: Larissa Fassler’s “Kotti”, Franz West’s “The Ego and the Id”, Art Cologne 2010, Monica Bonvicini and Krivet at Berlin Gallery Weekend, SEO (studio visit), the Basquiat retrospective at Fondation Beyeler, the design of Alessi, Hong Kong International Art Fair, and: a calendar and map of places and events during Art Basel 2010. 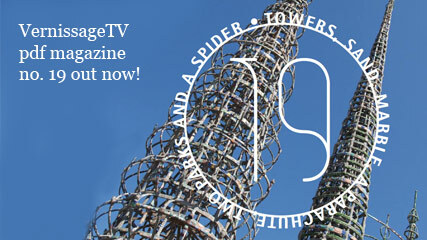 Out now: VernissageTV PDF-magazine No. 12, April 2010. 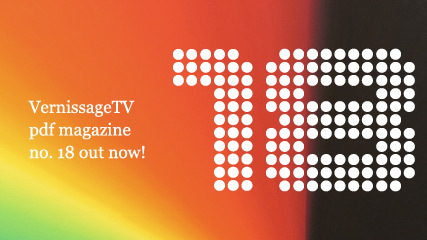 VernissageTV’s PDF Magazine No. 12 looks back at our trip to Palm Beach for the American International Fine Art Fair 2010 with a photo essay by Didier Leroi. We visit James Turell’s Skyspace Piz Uter, Rudolf Stingel’s exhibition at the Neue Nationalgalerie in Berlin, the Whitney Biennial 2010, Silberkuppe’s show at Museum für Gegenwartskunst Basel, Pierre Gonnord at Sala Alcalá 31 in Madrid, and the VitraHaus by Herzog & de Meuron. And we have an interview with Peter Lang, one of the curators of the exhibition Environments and Counter Environments: Experimental Media in “Italy: The New Domestic Landscape”, MoMA at the Swiss Architecture Museum in Basel. But this issue may also be called the Art Cologne 2010 Edition: With floor plans, practical information for visiting the fair, a calender of events and an artist list, and – essential! 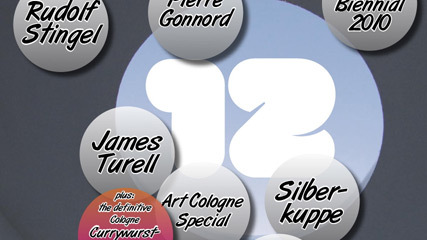 – the definitive Cologne Currywurst-guide by Chris Faber, you are well prepared for the 44th edition of the world’s first art fair in Cologne, Germany! As in the last year, we cover the fair with No Comment videos, interviews and documentations of talks and discussions. We will also show a video art program. 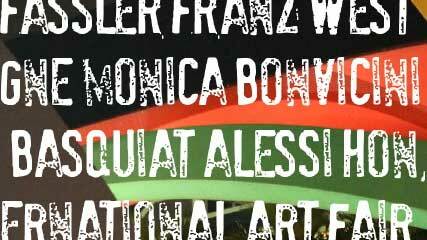 The participating artists are G.H. Hovagimyan (Subway 1•2•3), Christina McPhee (Tesserae of Venus), Maria Joao Salema (Girls and Boys Fight), Raphaele Shirley: SoapBox Opera), Heinz Sandoza, Gao Bizi, Lars from Trier (Ultra Art Fair), and Lee Wells (Manhattan Bridge in Red Green and Blue). We will also show new pieces of our Videophile series. The VernissageTV Team has its studio in the Open Space section of the fair in Hall 11.3. We look forward to seeing you in Cologne! PS: As the regular readers of our magazine will know: There are some bonus videos waiting for you! Out now: VernissageTV PDF-magazine No. 11, January 2010. VernissageTV’s PDF Magazine No. 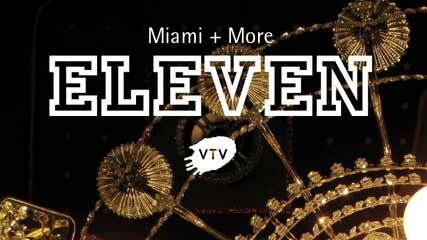 11 looks back at Art Basel Miami Beach 2009, Art Forum and Preview Berlin, 20 years of Haus der Kulturen der Welt, Adolpho Leirner Collection, and Skulpture Park Cologne.